Run away and join the circus! This camp is perfect for the performer in your family. Children will learn to juggle, spin poi, staff and hoop it up. We’ll also create costumes and learn some basic acrobatics. All supplies are included. Call Nanaimo Parks and Recreation at 250-756-5200 to register your little monkeys! 2016 Circus Summer Camps in Nanaimo! Run away and join the circus and still be home for dinner! These camp are perfect for the performer in your family. Children will learn to juggle, spin poi and staff, and hoop it up. We’ll also learn some basic acrobatics. All supplies included. We had a WONDERFUL time teaching the SOLD OUT Vesta Circus Summer Camp 2015! We would LOVE for kids to join us in our new ONGOING Circus lessons Thursdays, 3:45- 4:45, starting September 24th, at Beban. We have only 10 spaces, and will fill up quickly! Registration is open Aug 26th through Parks and Rec. We will be covering all props in depth, as well as STILTING and choreography. Students may be invited to join us performing at local festivals such as Canada Day and Bathtub! COME PLAY WITH US! 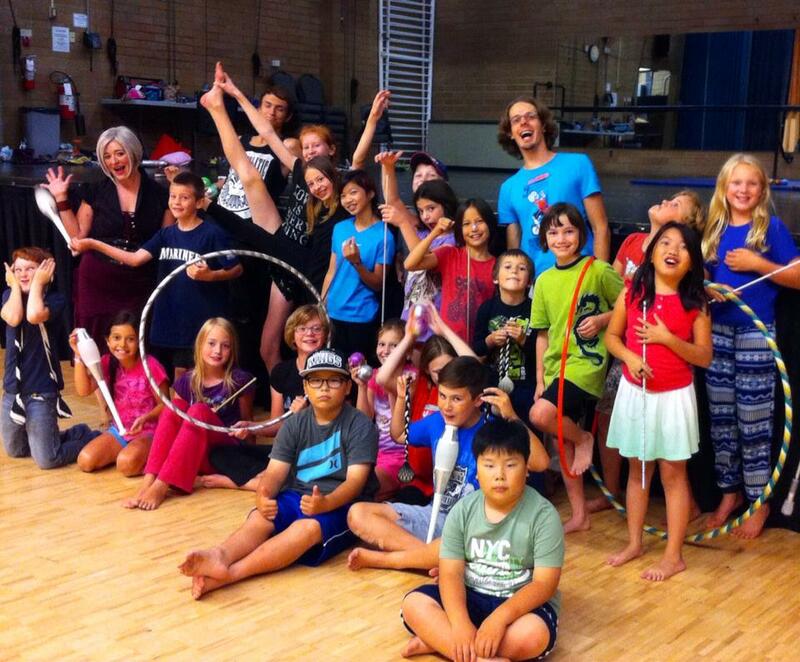 Circus Summer Camp in Nanaimo! Run away and join the circus and still be home for dinner! This camp is perfect for the performer in your family. Children will learn to juggle, spin poi and staff, and hoop it up. We’ll also create costumes and learn some basic acrobatics. All supplies included. We are beginning ongoing circus lessons on Sundays in September! Sign up for our newsletter for registration details as soon as we’ve got ’em! 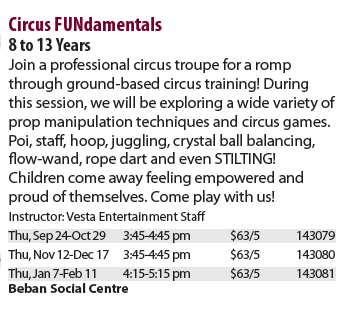 Vesta Entertainment is SO excited to be able to offer ongoing circus lessons in Nanaimo for both children AND adults!! Circus makes you smarter, more creative and innovative by fostering right/left brain integration and promoting coordination. Not to mention its an amazing workout! Teen/Adults- 11-12:30 pm SUNDAYS 15$ registered, 20$ drop in. Where: Nanaimo Gymnastics School, 1975 Bollinger Road, Nanaimo BC. What: Prop manipulation and Circus skills! Don’t be a one trick pony- come learn how to spin ALL the things- poi, staff, hoop dance, rope dart, juggle, contact juggle, stilting, unicycling, and more! Stage presence, character work, movement and choreography will also be explored. Circus is a non-competitive, creative sport that provides the basics of rhythmic gymnastics prop work. Our children’s class is an ongoing registered program, and we are currently accepting drop ins for our adult/teen lessons from 11-12:30 every Sunday. Come brush up on your technique, or try out a new prop! If you are interested in performing, we often recruit new troupe members from our students. Come Play With Us! 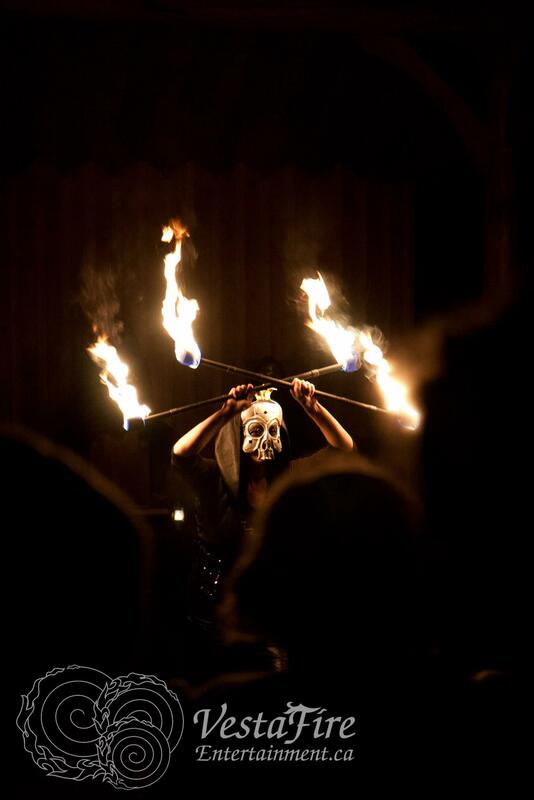 Join VestaFire in a fiery celebration of eerie myth and magic. The veil between worlds is thin, and Death is drawing near.. who will win in the epic battle between Darkness and Light? VestaFire presents a spectacular display of fire manipulation, including the amazing flame art installation ‘The Spider’ as guardian of the next realm. Do you dare to step through the portal into the underworld? Bundle up the kids and come get into the spooky spirit. As this is at a private residence, please bring chairs, umbrella (? ), and, if you wish, a carved pumpkin to contribute to our stage ambiance. Baked goods and hot chocolate will be available from the concession. Cost: $10 per person or $25 for a family. Tickets at the door. This is the annual Halloween fundraising show for Vesta, Nanaimo’s contemporary circus and fire performance troupe. Funds raised assist with the rental of our winter practice studio. Vesta is internationally acclaimed, performing internationally with tours of both Asia and the USA. Their spectacular fire shows have been the highlight of many local events such as the VIEX and Winterfest. Vesta also runs summer camps, and teaches ongoing circus lessons for kids and adults at Nanaimo Gymnastics School. They are funded via ArtStarts in Schools as ‘artist in residence’ to teach and perform in schools- this year teaching grade 2’s and 4’s at Coal Tyee Elementary. Please share this event with your friends, family and networks! Thank you for your support of Arts and Culture in your community! Circus in Nanaimo- STRIKE CAMP and Summer Camps 2014! Vesta is a family run business, and we understand the challenges of today’s active family. All courses run at Vesta’s Play Space in Lantzville can be flexible on start and finish times to accommodate parent’s work schedules. Contact us to arrange before or after camp care! We also offer sliding scale/early bird registration options- please register with what is most in harmony with your individual family circumstances. Remember to SUBSCRIBE to our list to keep informed of all the upcoming excitement! July 28-Aug1- Vesta is partnering with Nanaimo Gymnastics School to run a half day Gymnast Circus camp! More information here: http://www.nanaimogymnastics.ca/ Still space- do gymnastics in the morning, circus in the afternoons! Aug 18-22- Full Day Circus Camp at The Play Space! 8 – 13 years Prop manipulation, plus Slackline and Stilting! 250$ http://vestafulldaycircuscamp.eventbrite.ca Only one more spot for 1st round early bird prices! Aug 25-Aug 29- Half day Circus intensive at The Play Space! Teens and Adults! Prop manipulation, plus Slackline and Stilting! Option to try fire spinning on the last day. $150.00 http://teenhalfdaycircuscamp.eventbrite.ca This may turn into a One day taster– contact us if you (or your teen) are thinking of registering! We are also doing the CRU program for teens with Crimson Coast next Spring Break. We are beginning ongoing circus lessons on Sundays (for kids AND adults) in September at Nanaimo Gymnastics School!